This combo are great for improve blood circulations and remove toxin from our bodily system, keep our body healthy. The most beneficial way would be using these pure essential oils in bath tub/ foot soak or dilute for massage. This synergy blend is one of the natural ways to improve blood flow! It has a beautifully sweet and herbaceous aroma. A proper circulation is crucial for adequate oxygen delivery to our cells, and for removal of carbon dioxide and various waste products from our body. Foot soak and massage would be the most beneficial ways in reducing tingling and numbness, cold hands and feet, dizziness, swollen ankles and legs. Scents Description : Honeyed floral scents with a grass-earthy undertone. * Eliminate accumulation of water & toxic waste. * Help break down fats & flushed out. * Calming & balancing on emotions. It is well known for its detoxifying properties. It helps eliminate accumulation of water & toxic waste from the bodily system. Also leaves the skin soft and silky. Detoxifying is about getting toxins out of your body by cutting out certain foods and flushing out your system. We recommend that you complement the detoxification with Blu Scents De-tox 100% blended with pure essential oils truly extracted from plants, which may have more benefits than you may think. Blu Scents De-tox will help to stimulate the liver. As you may already know that liver is one of the most vital organs in the body. It needs to be treated with respect, and likes to be kept in good working order. 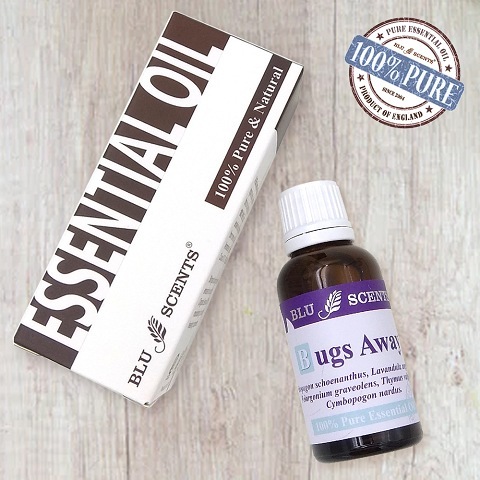 The great thing about Pure Essential Oils is that it will sink into our bloodstream either through massage or bath, helps to break down fats in the body which can then be flushed out without leaving any toxic residues. Vaporising pure essential oils is one of the nicest ways to enjoy aromatherapy, and creates a soothing and relaxing atmosphere anywhere in your home or at work! Simply add a few drops of essential oil, light up tea light candle in lower chamber then fill upper reservoir with water for gentle diffusion of aroma & create your own restful sanctuary. Don’t let the oil burner burn dry, refill water as necessary. After a massage, do not bath or shower for two hours afterwards in order to get the full benefit from the essential oil. * May cause dermal irritation in some individuals-apply in moderation.